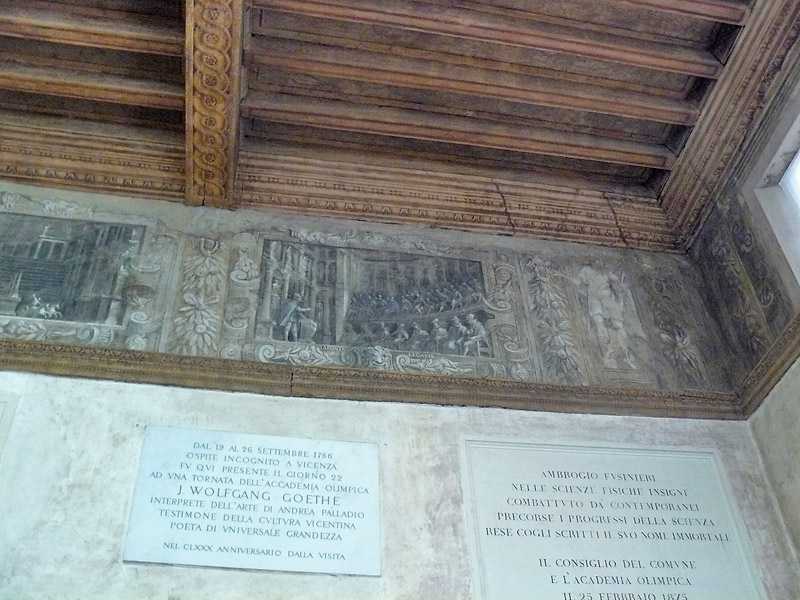 In 1555, a group of artists and noblemen founded the "Accademia Olimpica". 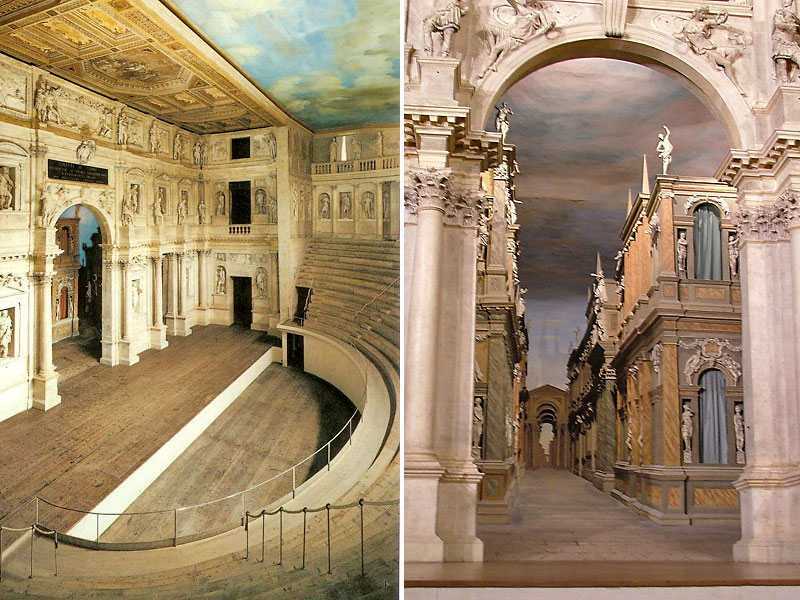 In 1579, Palladio, as one of its members, proposed the construction of a permanent theatre for dramatic presentations, as the wooden structures he had designed for the Palazzo della Ragione hall had been dismantled. Palladio's proposal was accepted and, in February 1580, construction work began in the courtyard of the 13th-century territorial castle. 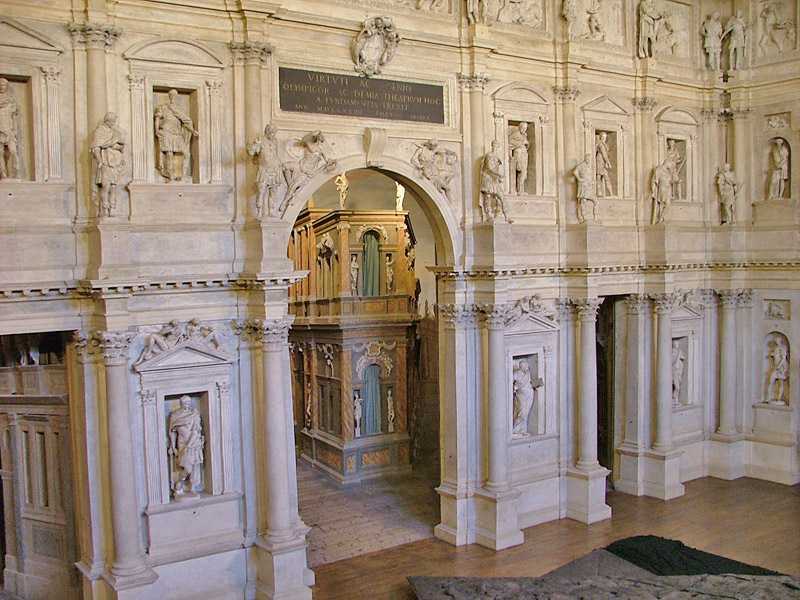 Andrea Palladio died a few months later and the work was continued by his son, Silla, but direction of the project was soon after entrusted to Vincenzo Scamozzi. The Olimpico is a revival of the structure of Roman theatres, but the cavea, or auditorium, squashed for reasons of space, is semi-elliptical instead of semi-circular. 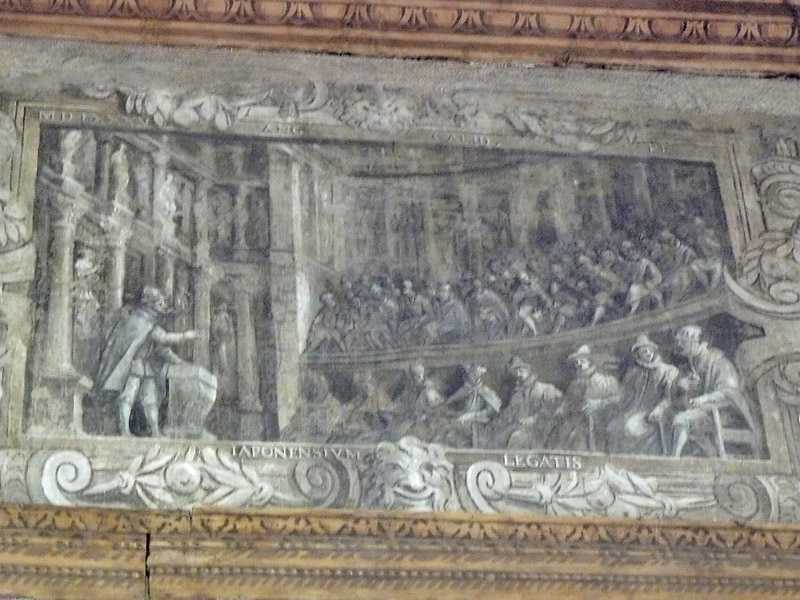 The Frons Scenae, or stage, is in the shape of a triumphal arch. The central arch seems to be its "Porta Regia", but at the same time presents the tripartite form of the grand facades of Palladian palaces. 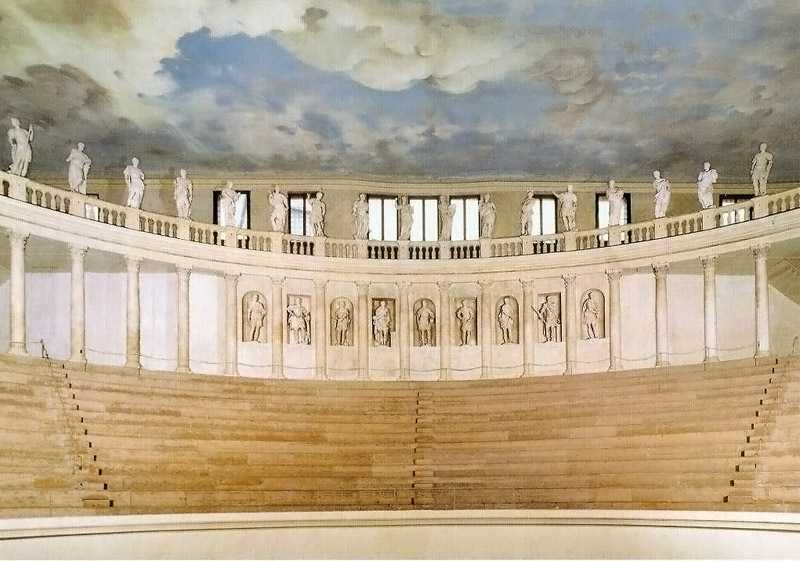 Palladio inclined the front of the stage to avoid the sensation that it might fall towards the cavea: the lower fascia has completely round columns, which reappear in the middle fascia as semi-columns before disappearing altogether in the attic. 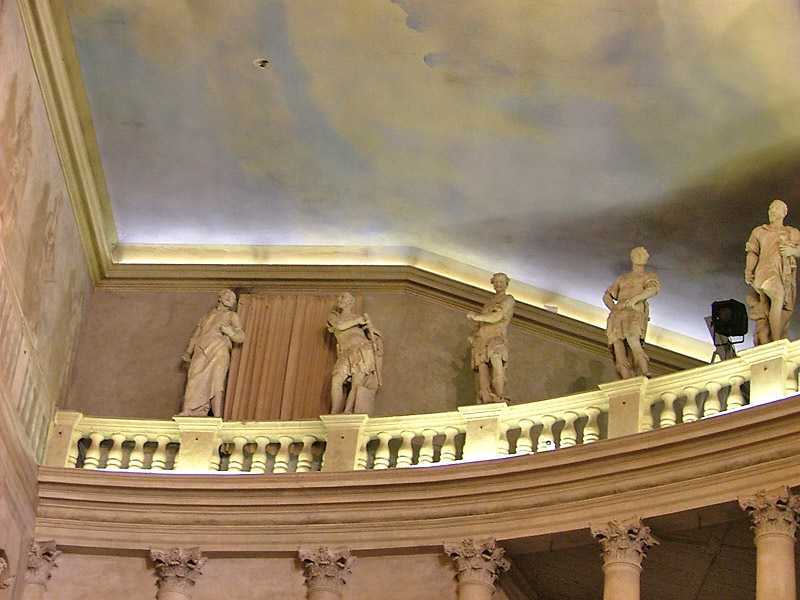 The structure is plastered brick; the statues are made of plaster. Scamozzi designed its seven streets to represent the city of Thebes. The main street is only twelve meters long but seems much more: the floor rises, the sky descends and the buildings, adorned with statues of plaster and gauze, draw nearer to each other and become smaller and smaller. 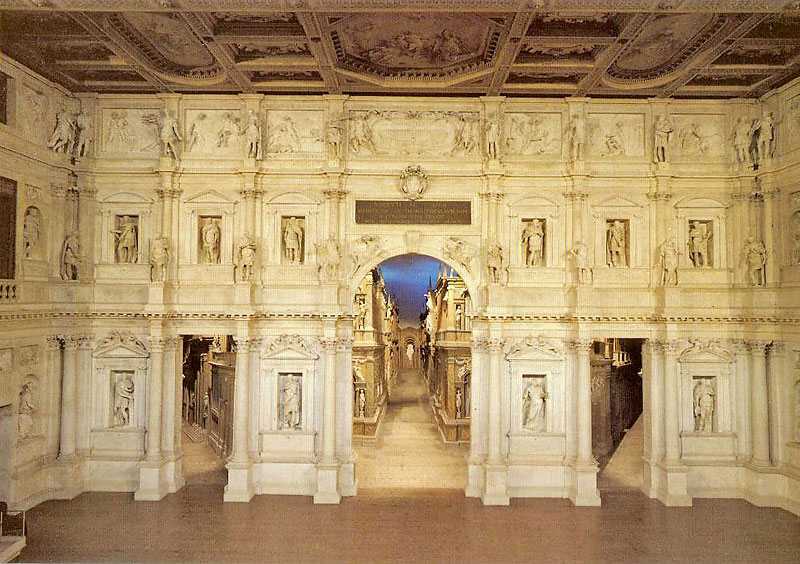 An ideal city, in wood and stucco, which would "fall and destroy itself" at the mistaken entrance of an actor.